1. Select desired ESX/ESXi host and click Show advanced view from Actions section. 2. Device properties window shows up. 3. Go to Virtual machines tab. This tab shows a list of virtual machines working on a server. 4. Check desired VM/VMs and select action type from the list below the table and click Go. Note: The actual actions available are dependent on the ESX license. 1. Navigate to the Home view using main menu and select desired device. 2. In Summary tab select Manage applications from actions section. 3. Select Add application and click Go. Dialog window is displayed. 4. Provide the necessary information and click Save changes. Note that application specific parameters depend on application type. Host field regards to an IP address of VM on which application is installed not the ESX/ESXi server. To check IP address of a particular VM select Advanced view option from action section. 5. 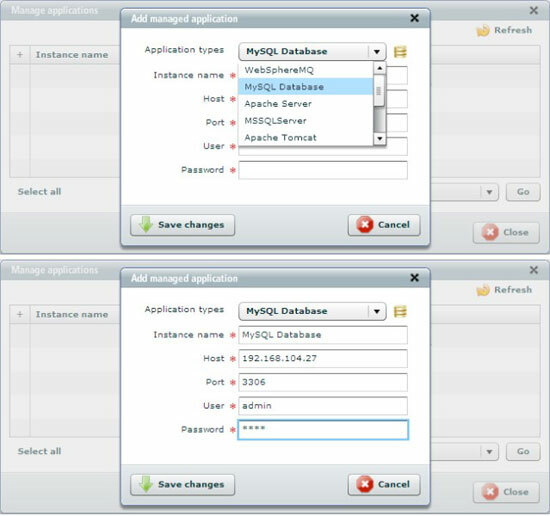 The system will ask if you want to add default set of sensors and counters for MySQL database - click Yes to create the sensors. If you want to attach additional sensors and counter to the database, follow the procedure described in chapters 2 and 3. 1. After selecting desired host go to Events tab. 2. Select events choose Assign processing rules and click Go. 3. Select rule category and click Add new rule. 4. Dialog window is displayed (see figure below). 5. Newly created event processing rule is now visible and active (there's no need to logout). 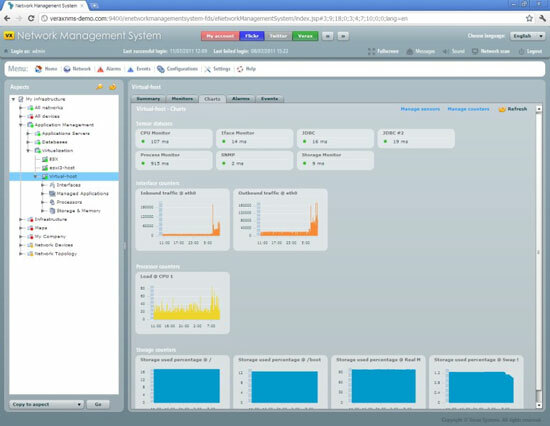 If you performed all actions described in chapters 1-6 you are now able to monitor applications (and MySQL in particular) running on your ESX/ESXi server. 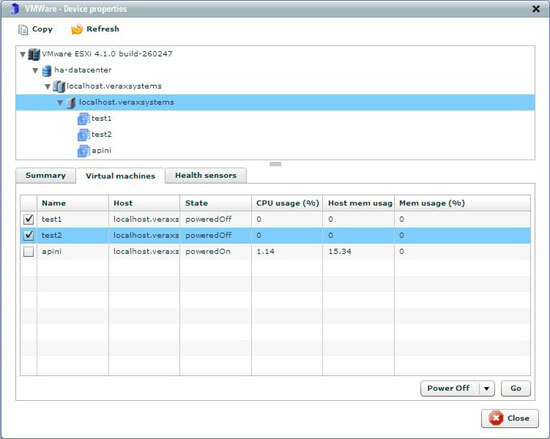 Figure 11: Charts tab of fully configured ESX/ESXi server.